What happens when you have an NFL Wide Receiver rocking the same number as the GOAT?? 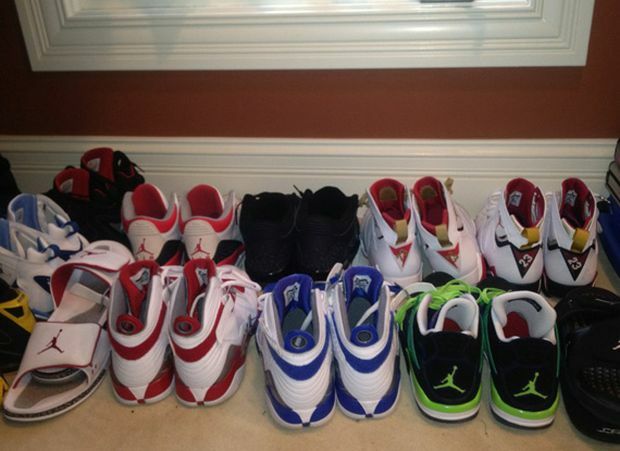 An amazing Jordan collection that’s what. 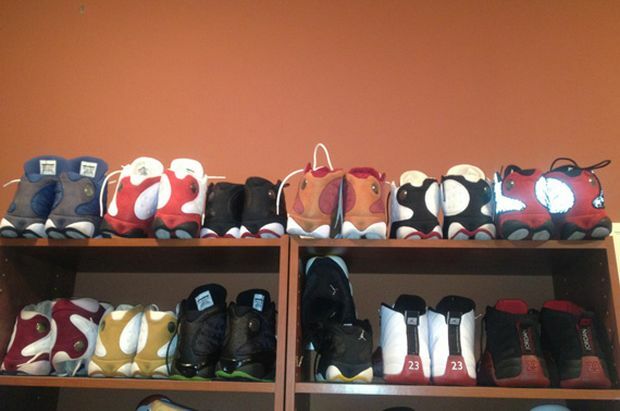 Devin Hester tweeted a bunch of his favorite Jordan’s yesterday, giving us a look at another athlete’s collection. 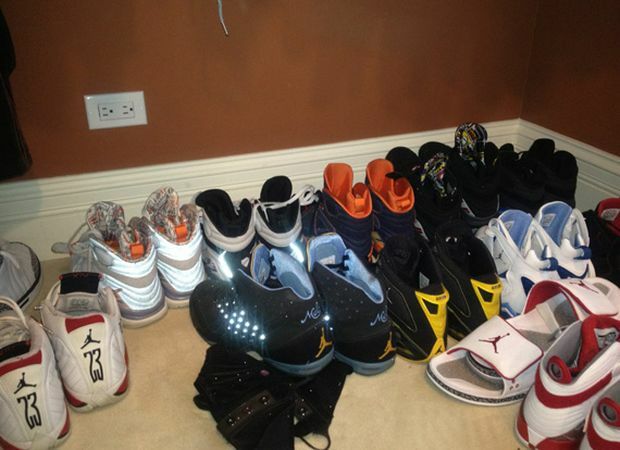 Devin Hester does not discriminate, as he has everything from Melo’s to Team Jordan’s on his plate, including Retro’s of course. Surprisingly, every single pair in his collection has been worn and we all know that most athlete’s like to keep their shoes DS. Let us know if your collection top’s Hester’s. First few pictures, I wasn't that impressed, but then it just kept going and going… crazy collection, I wish I had this. Thats freakin Stupid and anyone that thinks other is also STUPID- The main reason Athletes end up broke 4 years after playing…. this collection is average…he has alot of fusions lol but whatever…he dont have anything we cant get they were bascially general releases….if you are going ga ga over this collection….YOU'RE NEW! I can't respect anyone's collection that is not in boxes, you chance, spend, you leave laying around why? This collection is so basic. Its just a lot cause he has A LOT of money. Surprisingly, I have at least over 50% of what he has. That’s pretty tight actually.